Nationality: British. Born: London, England, 2 April 1914. Education: Attended Pembroke Lodge, Southbourne; Roborough, Eastbourne; studied acting at the Fay Compton Studio of Dramatic Art, London. Military Service: Royal Navy, 1941–46. Family: Married the actress Merula Salaman, 1938, son: Matthew. Career: Copywriter for Arks Publicity; 1934—stage debut in Libel , Hammersmith, London; film debut in Evensong ; 1942—on leave from Royal Navy to appear in British play on Broadway, Flare Path ; 1946—debut in featured role in film Great Expectations ; 1948—directed the stage play Twelfth Night ; 1948—roles in films Oliver Twist and Kind Hearts and Coronets , 1949, brought international popularity; followed by a series of Ealing comedies; continued to act and direct on stage: directed and acted in The Cocktail Party , London, 1968, and co-devised and acted in Yahoo , London, 1976; 1982—in TV mini-series Tinker, Tailor, Soldier , Spy and Smiley's People . Awards: Best Actor Academy Award, Best Actor, New York Film Critics, and Best British Actor, British Academy, for The Bridge on the River Kwai , 1957; Best Actor, Venice Festival, for The Horse's Mouth , 1958; Special Academy Award, "for advancing the art of screen acting through a host of memorable and distinguished performances," 1979; Fellow of the British Academy of Film and Television Arts, 1989, and of the British Film Institute, 1991; UK Film Critics' Circle Special Prize "for the brilliance of his career over more than forty years," 1989; Hon. D. Litt. (Oxon); Hon. Litt. D. (Cantab); Commander, Order of the British Empire, 1955; Knighted, 1959; made Companion of Honour, 1994. Died: In Midhurst, England, 5 August 2000. Blessings in Disguise , London, 1985. A Positively Final Appearance; A Journal 1996–98 , New York, 1998. My Name Escapes Me; The Diary of a Retiring Actor , New York, 1997. "The Artist Views the Critics," in Atlantic (New York), March 1953. "Man of Many Faces," interview with D. Hill, in Films and Filming (London), February 1955. "Life with a Pinch of Salt," interview in Films and Filming (London), November 1965. Interview with John Russell Taylor, in American Film (Los Angeles), April 1989. Tynan, Kenneth, Alec Guinness , New York, 1954. Hunter, Allan, Alec Guinness on Screen , Glasgow, 1982. Taylor, John Russell, Alec Guinness: A Celebration , London, 1984. Missler, Andreas, Alec Guinness: Sein Filme, Sein Leben , Munich, 1987. Harwood, Ronald, editor, Dear Alec: Guinness at 75 , London, 1989. Tanitch, Robert, Guinness , London, 1989. 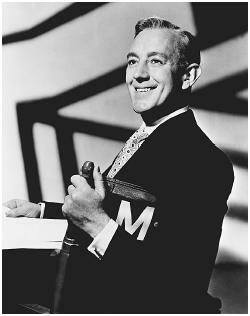 McVay, Douglas, "Alec Guinness," in Films and Filming (London), May 1961. Billings, P., "Sir Alec Guinness," in Focus on Film (London), Autumn 1972. Current Biography 1981 , New York, 1981. Millar, Gavin, "Goonery and Guinness," in Films and Filming (London), January 1983. Kennedy, Harlan, "Sir Alec," in Film Comment (New York), July/August 1983. Thomson, David, "Gray Ghost," in Film Comment (New York), vol. 23, no. 2, 1987. Norman, Barry, "Barry Norman On" in Radio Times (London), 28 September 1991. Radio Times (London), 30 April 1994. Norman, Barry, "The Outrageous Fortune of Alec Guinness," in Radio Times (London), 22 February 1997. Obituary in New York Times, 7 August 2000. Obituary in Washington Post, 13 August 2000. Vineberg, Steve, "A Modest Creator of Quiet Dreams" in New York Times , 13 August 2000. "Man of a Thousand Masks," in Statesman (India), 14 August 2000. The consummate chameleon, Alec Guinness successfully portrayed a timid but larcenous bank clerk, a brashly eccentric artist, a tortured Cardinal, the villainous Fagin, a fiery Scottish braggart, and a sad-eyed Arab prince of great cunning. According to Harlan Kennedy: "Almost alone among film actors, Guinness can assume the paraphernalia of makeup and funny voices and eccentric walks without losing a molecule of credibility. He never allows the weight of disguise to panic him into a matching hyperbole of voice and gesture." Guinness once admitted: "I try to get inside a character and project him—one of my own private rules of thumb is that I have not got a character unless I have mastered exactly how he walks . . . It's not sufficient to concentrate on his looks. You have got to know his mind—to find out what he thinks, how he feels, his background, his mannerisms." Throughout his long career, Guinness rarely succumbed to excess. This probably had more to do with his naturally withdrawn and reflective character, his passion for anonymity. One cannot imagine Olivier stating, for example, that he became an actor to escape himself, which is precisely the reason Guinness has given. Guinness's artistic goals ("learning to pare down one's performance: learning to cut the flourishes") reflected that personal reserve. It is to another great British actor, John Gielgud, that Guinness owed his beginnings. Gielgud recommended him as a student to actress-teacher Martita Hunt (with whom Guinness would later co-star in Great Expectations ) who, after several lessons, gave Guinness back his money: "I'm afraid you're wasting your time. You'll never be an actor." Luckily, Guinness persevered, winning a two-year scholarship to the Fay Compton Studio of Dramatic Art, where he was awarded (by Gielgud) the school's annual prize at graduation. Later, Gielgud offered him the part of Osric in his production of Hamlet . It was the turning point in Guinness's career. He worked for Gielgud and at the Old Vic until the outbreak of World War II, registering most strongly as a modern-day Hamlet at the Old Vic. Guinness's film career began after he returned from the war, when he played Herbert Pocket in David Lean's Great Expectations , a role he had played in his own stage version of the Dickens novel. Guinness then pestered Lean into allowing him to play Fagin in Oliver Twist . Despite the elaborate makeup, he made the role completely credible—a full-blooded, pathetic Victorian monster. In the United States, critics deemed the performance anti-Semitic, and the film was heavily cut. But it was his fourth film, Kind Hearts and Coronets , that made him a star. Beginning a long association with Ealing Studios, he appeared as eight characters, ranging from a doddering parson to a militant suffragette, whom the ninth in line to a duchy (Dennis Price) has to prune from the family tree. He received an Oscar nomination for The Lavender Hill Mob (as an obsequious bank clerk who succumbs to temptation). His reputation as a serious actor came with The Prisoner , a harrowing drama in which he played a persecuted cardinal behind the iron curtain. Guinness's next important role was as the arrogant Colonel Nicholson, obsessed with his own code of rules and conventions in The Bridge on the River Kwai , a performance that garnered him several major awards. Ironically, it was a role director David Lean had to persuade him to take on because Guinness had a difficult time getting a grip on the character. Although memorable in The Horse's Mouth (his screenplay for the film was nominated for the Oscar), his next great role was in Tunes of Glory . Eschewing the more familiar role of a rigid martinet outsider (effectively portrayed by John Mills), he opted for the role of Jock Sinclair, an insensitive, hotheaded braggart whose outrageously clannish behavior brings about Mills's suicide and his own character's ultimate downfall. His next leading role was the first one for which Guinness received unfavorable reviews. As the widowed Japanese diplomat Koichi Asano in A Majority of One , his only possible consolation was that Rosalind Russell, as the Yiddish widow Erma Jacoby, was as badly miscast as he. In the years that followed, Guinness played a number of supporting roles, the most significant of which were Prince Feisal in Lawrence of Arabia , Charles I in Cromwell , Ben Obi-Wan Kenobi in Star Wars , and Professor Godbole in A Passage to India , David Lean's comeback film after almost 16 years of directorial inactivity. Over the years, Guinness has also turned in some outstanding performances on television—most notably in Tinker, Tailor, Soldier, Spy and Smiley's People , based on the espionage novels of John Le Carré; Little Lord Fauntleroy ; and Monsignor Quixote , from the novel by Graham Greene. Guinness returned to the big screen, and to Dickens country, in the epic length Little Dorrit in 1987. He also had a small role in Kafka , released in 1991.